Outdoor weddings these days are BIG news! it seems the trend from across the pond has taken the UK by storm and I am coming across so many more couples who are looking to have something different and that is more them! 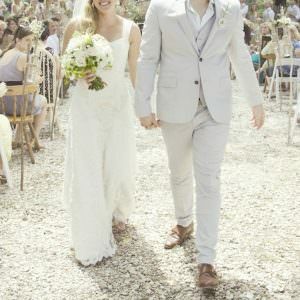 I was lucky enough to get married in an outdoor ceremony in Ibiza and it was amazing, and I know that if I was to ever re new my vows here in the UK it would have to be outside, maybe in a wood or on a beach! 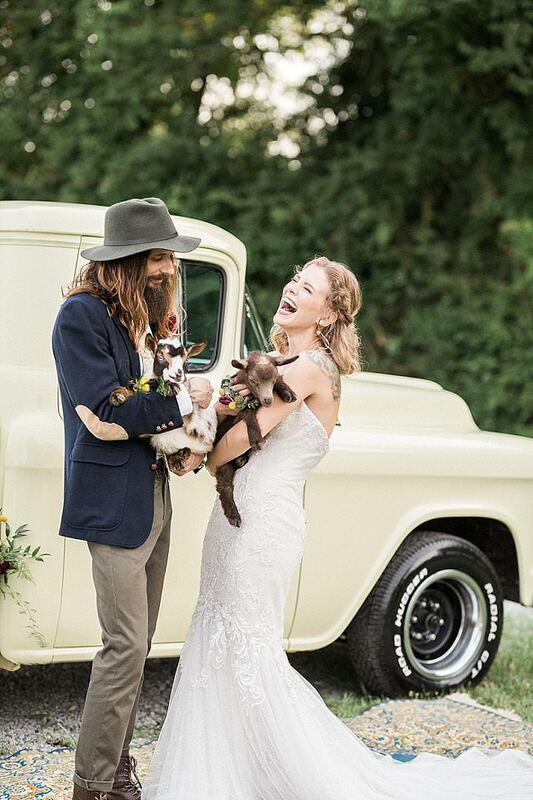 BUT how do you make your dream of an outdoor ceremony into reality? there are so many thing to consider. I met up with Laurra from One Life Weddings when I first started my wedding planning business and I knew then that her ideas would revolutionise the wedding industry. More than 2 years down the line I’m happy to see Laurra’s business thriving and going from strength to strength and I have had the pleasure of working with her and her mother Maria on a number of weddings. 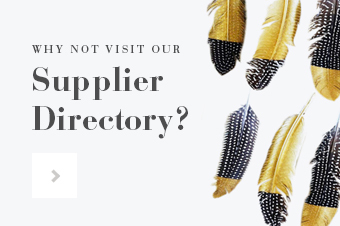 They both run the business very successfully in the North of the country and have recently taken on Christabel to take on the London arm of the business so spreading the One life love to the South of the Country. 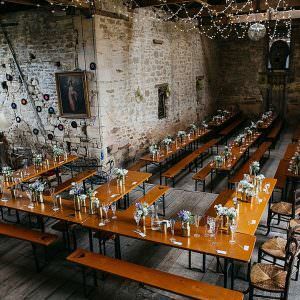 I thought it would be a good time to get Laurra and Christabel from One Life Weddings to discuss the idea of outdoor wedding further and tell you a bit more about the way they work, from the legalities to what happens if it rains! For many couples the idea of getting married in a flower meadow, on a beach or even in the grounds of their chosen wedding venue is high on their list of wedding ‘must haves.’ Once they discover that a Registrar cannot perform a marriage ceremony outdoors many are deterred, believing a wedding outside is simply not an option. Although you can’t sign the legal marriage documents, you can still hold your wedding ceremony outside with all the elements you’d expect: exchange of vows and rings, readings, an ‘I do’ and a first kiss. Because One Life Weddings do not include the legal marriage documentation it means that your ceremony is free from restrictions. This gives you greater choice over where and when you can hold your wedding. You simply visit the local Register Office prior to your wedding day to legally become husband and wife. This is a short and straightforward process in which make your declaratory vows and sign the register. That’s it. You can either invite just your two witnesses and keep it as brief and unromantic as possible or take a few close friends and family and then go for a meal afterwards. You may even prefer to do it on the morning on your wedding. Where can an outdoor wedding be held? The choices for an outdoor wedding are endless, from your or your parents’ garden, a beautiful woodland, the grounds of a heritage site, park, vineyard or lakeside to a farmer’s field or even the grounds of a wedding venue. 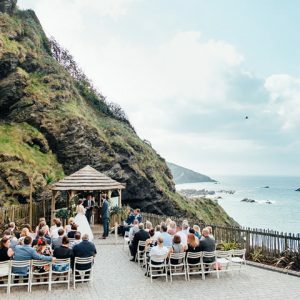 One Life Weddings can always advise on the practicalities of outdoor weddings and if you need help finding the perfect location them we can help with that too! If the location is completely outdoors (i.e. 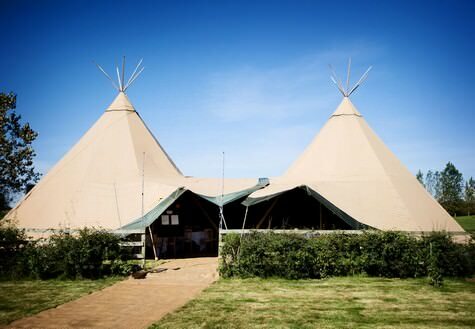 no venue close by) then you will also need to hire a marquee, tipi tent or yurt to hold the reception in. 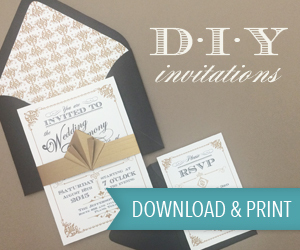 These make stunning venues and can be decorated to suit your personal taste or theme. 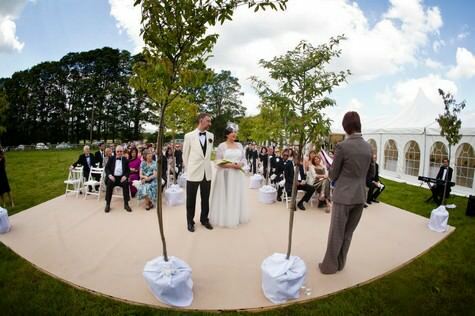 What do I need to consider when planning an outdoor wedding? 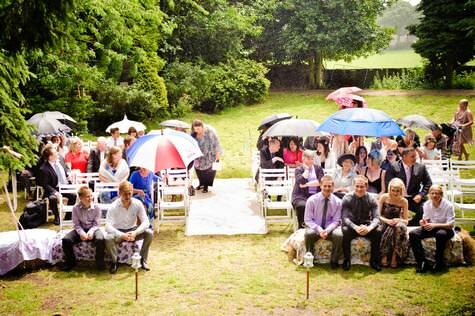 If there’s one thing that can’t be relied on it’s the British weather, so when planning to hold an outdoor wedding one of the key things to consider is a plan B! If you plan to hire a marquee, tipi or yurt for your reception it’s always worth considering whether it can also accommodate your wedding ceremony if the weather lets you down! On the opposite side you also need to prepare for hot weather, this means ensuring your guests are comfortable; so you might want to think about supplying small bottles of water and fans, you could even provide them in place of favours! When choosing a location you also need to consider the practicalities. 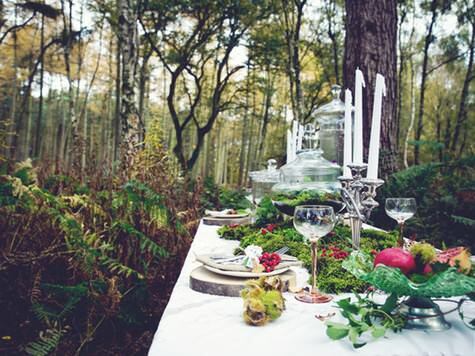 Whilst the idea of having your wedding in the middle of a forest sounds super romantic, you need to think about how people will get there, especially if you have elderly guests or very young children coming. We’ve already booked our venue but really want an outdoor ceremony, what can we do? If you’ve already booked your venue but hadn’t considered an outdoor wedding because you didn’t think it was possible, it’s always worth having a chat with them to see if they can accommodate your outdoor wedding vision (many venues don’t offer this because they assume it’s impossible). 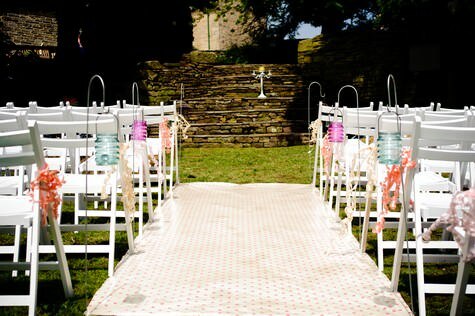 Some may be wary about moving chairs outside, so as long as you’re happy to hire some in if needed then there shouldn’t be a problem with re-locating your wedding outdoors! If you’ve already booked the Registrar then there is also the option to complete your legal marriage indoors with them before your outdoor ceremony with One Life Weddings. 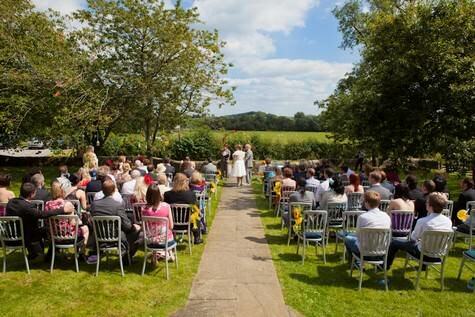 Is an outdoor wedding cheaper than hiring a venue? The great thing about outdoor weddings is that they are a huge blank canvas. You can choose the location (woodland, beach, lakeside, field or garden) and you can also add to that your perfect venue whether that’s a marquee, a tipi tent or yurt and everything from the styling to the caterers is entirely up to you. So unlike some wedding venues you won’t be bound into packages, using certain suppliers and paying corkage. However, this doesn’t necessarily make them cheaper. The thing to consider is that most outdoor locations don’t come with toilets, electricity, water, lights, heating and PA systems so all of these things will need to be hired. And unless your location has a venue with it you will also need tables and chairs. Thank you Laurra and Christabel for this information, I hope you have found it useful and has encouraged you to consider holding your won outdoor ceremony! One Life Weddings are based in Yorkshire and London and provide personally written wedding ceremonies that reflect you as a couple. We work with some fantastic venues and locations in the North and South of England that are ideal for your outdoor wedding! Our personally written ceremonies start from £475. I love seeing the outdoor wedding we shot at Whirlow Farm on here – it was a fantastic day and the rain stopped just minutes before the bride walked down the aisle. My fiance and I are leaning towards booking a wedding venue long island. We always wanted an outdoor wedding, but I never dreamed we could afford a beach wedding! Just wanted to say that my experience of One Life Weddings was absolutely fantastic. Myself and my Husband cannot recommend them enough. Our ceremony felt like it had been conducted by a close friend, but was also formal enough to be taken seriously, even though technically we had already signed the paperwork and legally become “man and wife” on the morning of our wedding day. I would highly recommend this approach for an outdoor wedding and this company are the ones to choose. Our guests loved it, saying it was the most unique and emotional wedding ceremony they had ever seen and we will always be grateful to Lauura and Maria for helping us in creating the most heartfelt, special and personal ceremony for us based on us as a couple. BOOK THEM NOW!